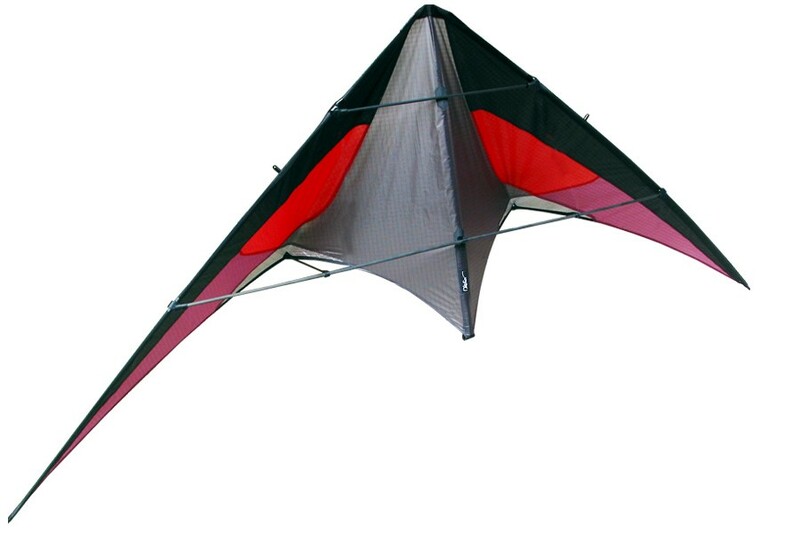 Like its elder brothers, the Cesium is made of noble materials (Skyshark®, Icarex®, Mylar®, Kevlar®) and equipped with the latest technical innovations (cover systems, yoyo-stoppers, integrated ballast). Above all, the Cesium benefits from the experience of the l'Atelier team. It is designed and produced in France (made in France at 100% :-). With a freestyle vocation, the Cesium was designed to facilitate the access to all the figures and tricks. 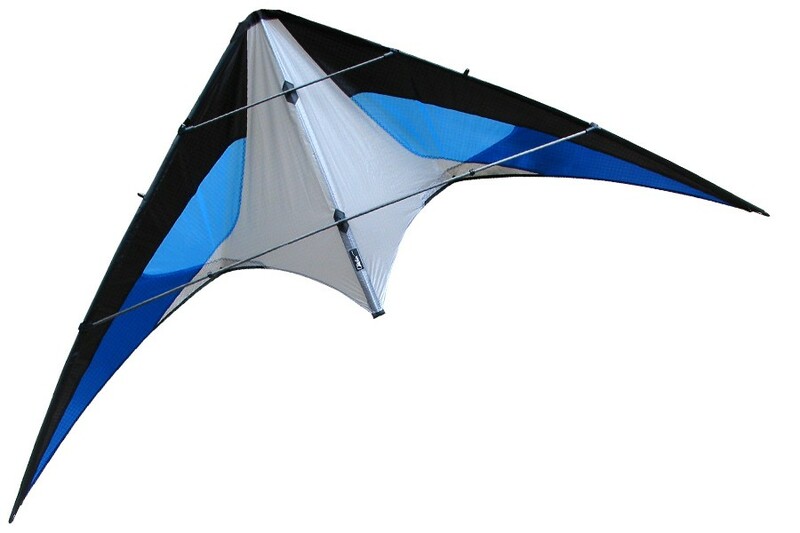 Its middle size together with a low traction makes it possible to achieve most figures with astounding ease: - on the back (turtle position) for all Lazy-Susan-based tricks, multi-lazy, Ours des prairie, ... - within yoyo, the kite performs Lewis, yoyo multi-lazy, and more generally all yoyo-based sequences. 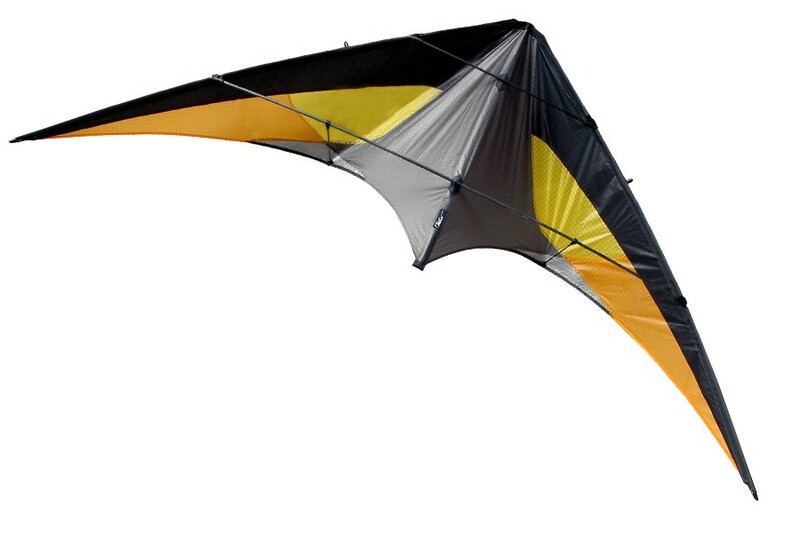 Powerful but also easy to fly, the Cesium is perfectly adapted for those who wish to learn the first tricks like Axel, Fade, Flic-Flac, Backspins, Cascade, ... it is also a good choice for learning precision flying. You will easily obtain perfect loops, squares, rounds, stops. 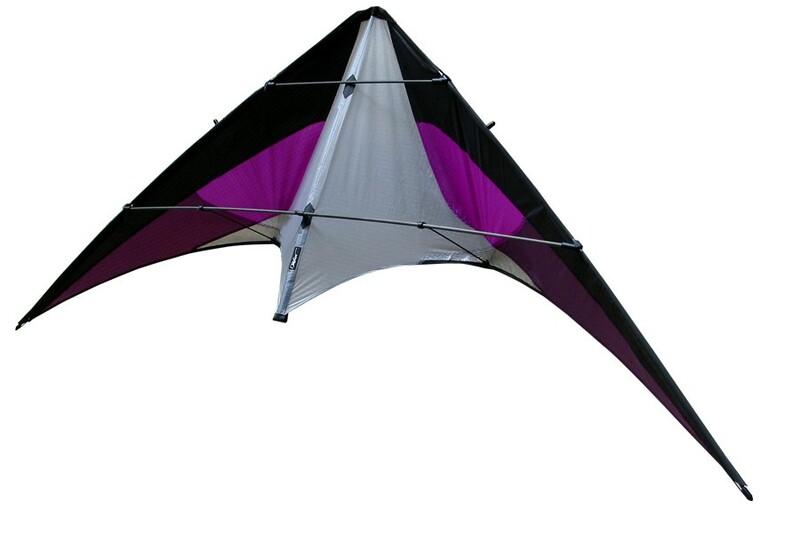 Robust, tricky and easy to use, the Cesium is an ideal instrument of pleasure for young pilots wishing to discover the joys of stunt kiting. It is also appropriate for those wanting to train and develop their skills in the art of freestyle. Advanced pilots will be surprised by its great qualities and already it is described as a trick bomb.